- Technical assistance with configuring the VPN. Please send us your preferred PokerStars.it Username . PokerStars.IT is the largest Italian gambling platform offering Poker, Casino (slots, cards and table, live casino, video poker) and Sports Betting (football, tennis, basketball, volleyball, ice hockey, american football, baseball, table tennis, darts). PokerStars.IT belongs to Rational Intellectual Holding Limit company. Besides the online gaming services they are offering, PokerStars launched their TV channel where you can see the latest poker shows, wherever you want, whenever you want. You can watch live streaming, full TV shows, player interviews and movies of the biggest online and live events like PokerStars Big Game, The EPT (European Poker Tour), The PCA (PokerStars Caribbean Adventure), the Online Poker Show and many more. Stars Rewards program allows you to get the appropriate rewards for taking part in all products PokerStars is offering. You will do this by earning the required number of Rewards Points in order to complete the progress bar and you can win a Chest full of prizes, as well as tickets and StarsCoins. The Chests which can be collected anytime contain rewards specially tailored for you and in relation to the activities you like the most. The rewards vary from StarsCoins to tickets and other different items and can be managed in “My Stars” section of the account. When you got the required number of points to complete the progress bar, you will have access to the next Chest. If you manage to get 4 Chests during 6:00AM and 5:59AM the next day, you will be eligible for a bigger Chest, which is more difficult to open, but it holds bigger and more interesting rewards. When you are close to an upgrade you will notice the progress bar changes its color to blue and specific requirements are displayed so you’ll always be in control. PokerStars is also offering “Boosts” which increase the earning points rate twice. If you got a 20 point boost, the next 20 points you get will actually mean 40 points. Boosts are offered from time to time and you’ll know when you have the next opportunity by checking the boosts timer. PokerStars.IT is offering a 100% up to €1000 welcome bonus, released in €5 portions, rakeback equivalent, valid for 90 days. In order to get the welcome bonus you have to use the code “Bonus1000” when making your first real money deposit. You are allowed to make up to 2 valid deposits within 90 days and both will be taken into consideration for the welcome bonus. Please be aware that if after making a first deposit of less than €1000 you will request a withdrawal during the 90 days period of validity of the bonus, the subsequent potential deposit won’t be taken into consideration for the purposes of the welcome bonus. Your welcome bonus will be released in €5 installments you will get for every 80 Points you receive. So, whatever the amount you deposit for getting PokerStars.it welcome bonus, you need to earn 16 times the same amount in Points. The bonus will appear in your Stars account as “Available” funds, which can be used for participating in any games but you are not allowed to withdraw this amount. Supposing you will win any prizes in the games you join using the bonus amount, these funds will be credited to your account and you will be allowed to withdraw them anytime. PokerStars Italia has the standard rake structure the Italian poker networks apply, charging around 5.5% of pots. The difference between PokerStars and most other Italian networks is that the first has much lower caps in case of cash games, those varying between €1 and €3, depending on the game type and stakes played. Rake is not charged if the hand is ended on the first betting round, which means before the flop in Texas Holdem or Omaha, before the 4th Street in Stud variants or before the Draw in Draw games. In case of mixed games (8-Game, Round of Each, Mixed Holdem, Mixed Omaha Hi/Lo) where hands from different game types are played by rotation (Fixed Limit, No Limit, Pot Limit), the rake is collected based on the poker type played in each hand. In the tables below you have the PokerStars.IT rake structure and the columns showing “Number of players” represents the number of players who are playing the hand and not the number of players seated at the table. PokerStars.IT games currency is EUR. PokerStars.IT is the biggest Italian poker network, according to PokerScout they have around 25000 online players and an average of 700 at cash games. PokerStars is offering a large variety of games, including live events. Spin & Go - 3 handed Hyper Turbo SNGs with random prize pools which can go up to 12.000 times the buy in. MTTs : Buy ins from €0 and Stars Coins up to €250. PokerStars Italia is offering a large variety of payment options and their cashouts are processed very fast, sometimes it only takes a few minutes to receive your funds, especially when using your ewallets. Besides the PC cashier, PokerStars is also offering a mobile version cashier, so you can make deposits on your account and manage your bankroll directly from your mobile device. 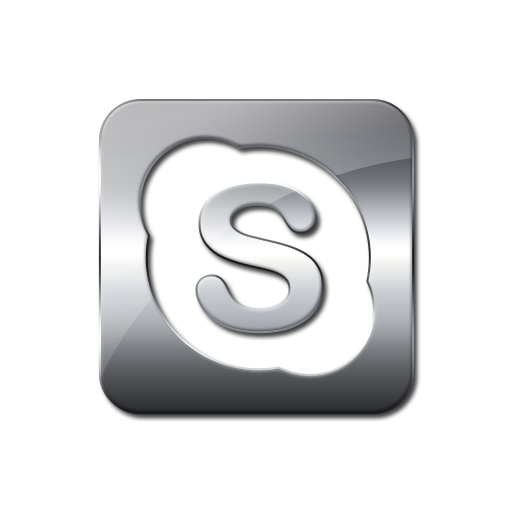 Non-Italian Poker Players need to contact us on skype: ID rakeadvisory to be able to deposit. PokerStars.IT client fully compatible with trackers (Holdem Manager and Poker Tracker). PokerStars.IT client must be accessed from Italian IP, excepting the cases when you explain PokerStars you live in a different country and you access your account from there. Windows and MAC version are available and you can also play from your phone or tablet. They have apps for iPhone, iPad, iPod Touch and Android devices. They also launched the PokerStars Clock, a tournament management app in order to make the best private matches and tournaments. This app helps you to organize home poker tournaments, taking care of many details and creating the perfect game structure, so you can enjoy poker the most. PokerStars has created the best poker client on the market, user friendly, clean and very well organized so can easily access any section you want and easily find any information you are looking for. It is fully customizable, offering the option to choose what additional details you want to see in the lobby, besides the main info regarding the games. You can choose from more than 20 languages for the poker client and tables, set your timezone and communication preferences. Games are organized in categories and each of them has its own filter and you also have the option to save filters in order to save time when looking for your favourite games. A lot of features regarding Themes, Table Display, Cards, Animation, Chat, Preferred Seat and Announcements are available. Auto-rebuy option is also customizable in detail.